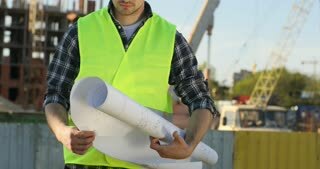 Attractive caucasian young builder in yellow helmet on unfinished construction background. Builder analysing drawing and looking on the camera. Outdoor. 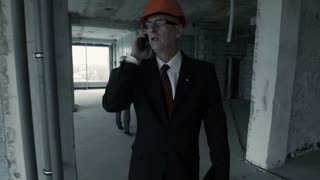 Attractive caucasian builder in white helmet on unfinished construction background. Serious builder analysing drawing and looking on the camera. Outdoor. 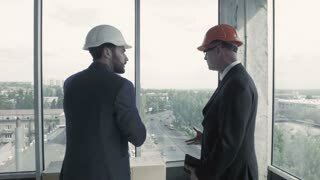 Two men builders in a protective helmet on their heads and special clothes looking drawing of building on unfinished construction. Outdoor.